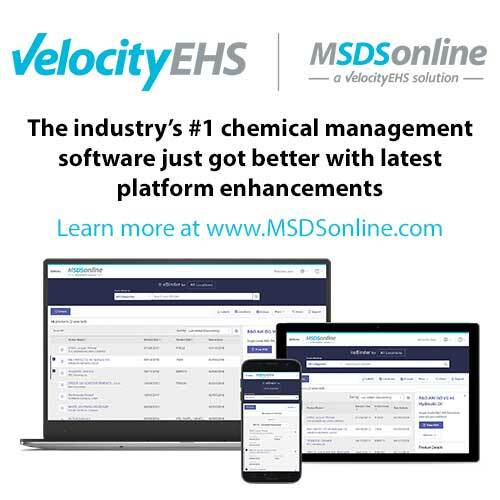 With hundreds of improved features, the newly designed MSDSonline Chemical Management platform from VelocityEHS gives customers even greater control over their hazardous chemical inventories, faster access to critical chemical safety information, and a clearer, more comprehensive understanding of their organization’s overall hazardous chemical footprint. The more global approach to workplace hazardous chemical communication, ease-of-use, and enhanced mobile functionality helps simplify compliance with the latest regulatory updates from GHS, OSHA and WHMIS. Visit booth #2639 or www.MSDSonline.com to learn more. MSDSonline solutions by VelocityEHS provide cloud-based, mobile-enabled SDS/Chemical Management tools for every size business, making it easy and cost-effective to keep workers safe and businesses compliant. With MSDSonline, users are able to streamline global regulatory requirements – including those impacted by GHS – as well as easily search, sort, manage and access safety data sheets – even offline via a convenient mobile app. In addition, robust capabilities for workplace/secondary container labeling, product and container level inventory management, and regulatory cross-referencing offer an efficient and centralized way to manage chemical hazards across an entire organization. Start a free trial today to discover why award-winning MSDSonline solutions are trusted by over 12,500 customers around the world and voted #1 by safety professionals. VelocityEHS (formerly MSDSonline) enhanced its HQ/HQ RegXR Accounts with updated functionality to address changes to Hazard Communication regulations in North America and new tools to meet the global migration of employers and workers toward fully mobile workplaces. By joining forces with Brady Corp., VelocityEHS was able to allow customers to produce workplace labels using information indexed from safety data sheets. The VelocityEHS (formerly MSDSonline) Plan1 First Responder Share Service is a new way for companies to provide emergency response teams with access to life-saving hazardous chemical inventory information. 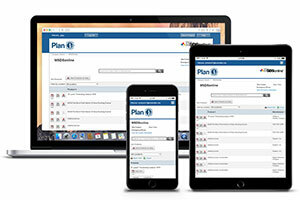 Through a cloud platform, first responders can quickly access up-to-date, company-specific chemical safety information (e.g., facility floor plans, chemical container maps, inventory lists, and safety data sheets) from any mobile device or computer connected to the Internet. SiteHawk MSDS Engineer is an on-demand MSDS authoring solution that is designed to allow companies to get started quickly in a collaborative authoring environment without the expensive and extensive implementation of traditional authoring software. 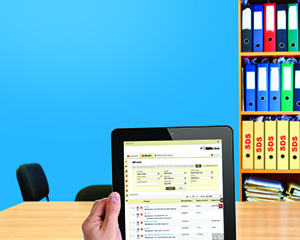 GHS, OSHA, ANSI, WHMIS, and EU rules are all built into one platform. J.J. Keller & Associates Inc.
KellerOnline®, the online safety management tool from J.J. Keller & Associates Inc.®, has expanded its partnership with MSDSonline® to provide subscribers with the ability to electronically store their MSDSs. Under the new agreement, subscribers can now save MSDSs associated with their company's chemicals within the Chemical Recordkeeping feature of the service. 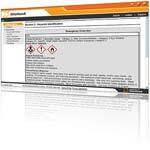 SiteHawk offers a complete approach to MSDS and EH&S chemical information management through its Web-based, user-friendly software and managed services. Products include SiteHawk Vendor (M)SDS Management, SiteHawk VeriScan™ for inventory barcode scanning, and SiteHawk (M)SDS Engineer for authoring GHS and globally compliant MSDSs. 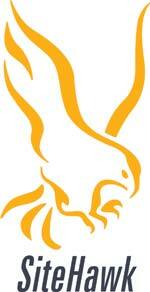 SiteHawk offers a complete approach to MSDS and EH&S chemical information management through our web-based, user-friendly software and managed services. The complete SiteHawk product line includes SiteHawk Vendor MSDS Management, SiteHawk VeriScan™ for inventory barcode scanning, and SiteHawk MSDS Engineer for authoring GHS and globally-compliant MSDSs. 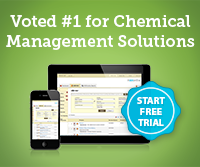 We have the software and service solution you need to elevate your MSDS management vision! 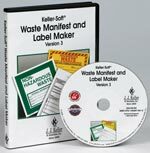 J.J. Keller & Associates Inc.'s Keller-Soft® Waste Manifest and Label Maker software is designed to automate completion of the Uniform Hazardous Waste Manifest form required by EPA. The software includes instructions for filling out each form and stores the forms electronically to assist with reporting and sending of like shipments.